Show your Route 66 Pride just about anywhere with this Roamin Rich Indoor Die-Cut Route 66 Sign printed on High Quality Vinyl. 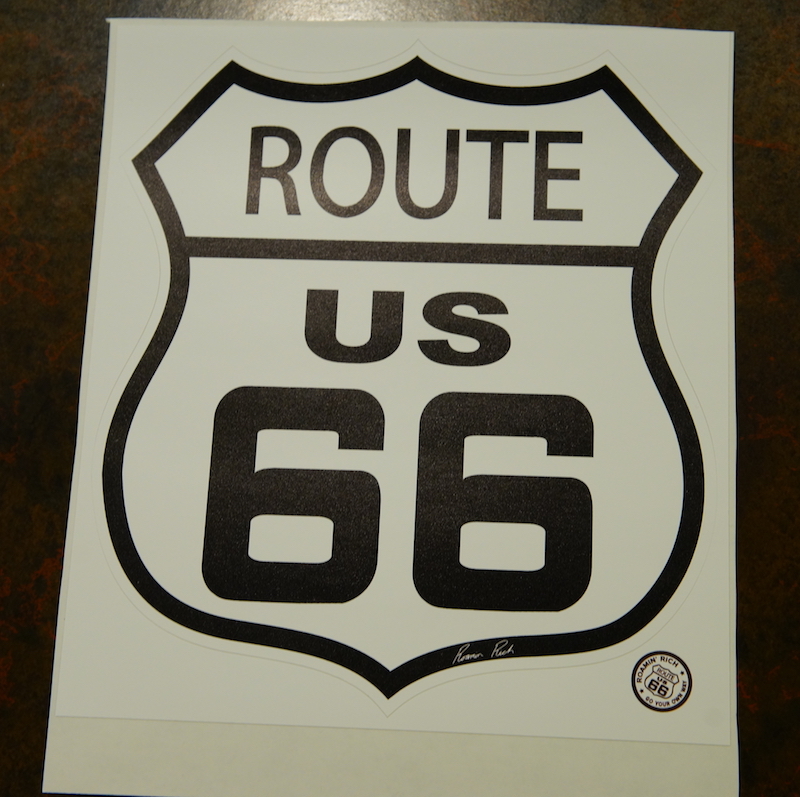 Thick, Reusable Vinyl Wall Graphic Material. Just peel and stick it on the wall, no messy residue left. Easy to remove and stick in a new location during the initial installation. 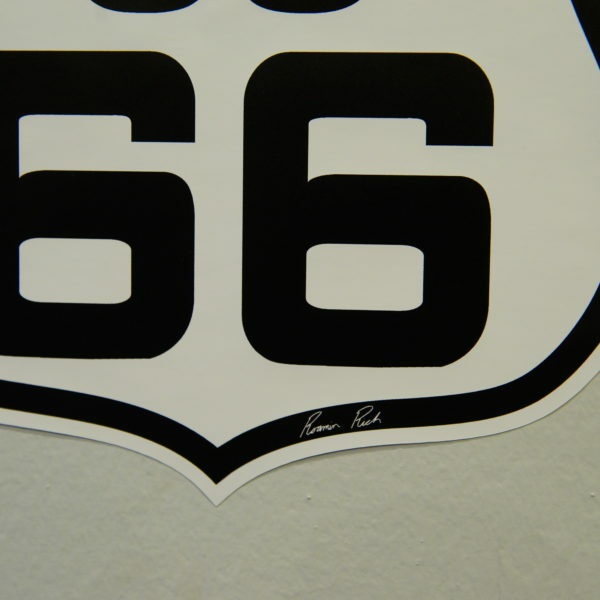 Once the decal has been applied long term, alternative methods may be required to remove. 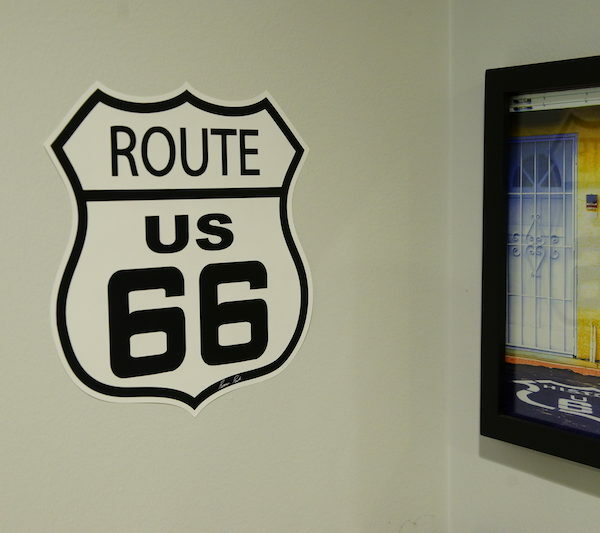 Show your Route 66 Pride just about anywhere with this Roamin Rich Indoor Die-Cut Route 66 Sign on High Quality Vinyl Wall Graphic Material. Printed on high quality wall graphic vinyl material with one of the best wide-format UV printers on the market. You can easily apply and remove* from any flat, dry indoor surface. Peel and stick, re-usable, with no messy residue. To apply, mark the spot you want to apply the logo first and make sure it’s level. 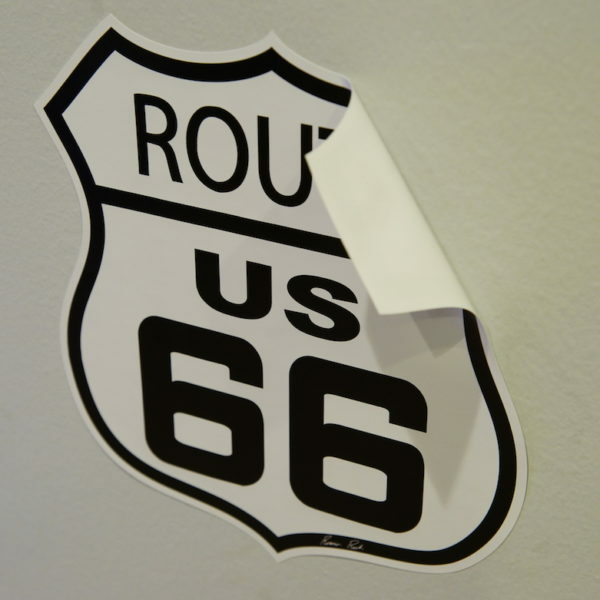 Especially on the 24″ size, it’s best to tape the full decal with it’s backing on the wall first, mark the location with a pencil and make sure it’s level. 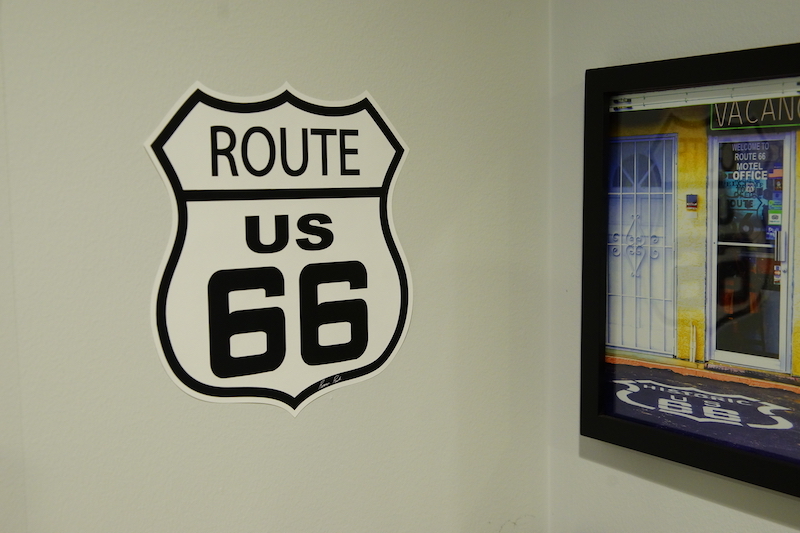 Then remove the decal from it’s backing and apply to the wall. Smooth the decal out by hand. 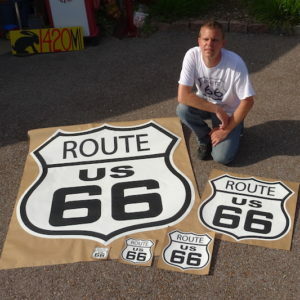 On the 46″ size, it’s best to peel the decal from the top, applying the top edge first, then slowly peel the backing behind as you work your way down, smoothing the decal out as you go. *Remove within a short time period. 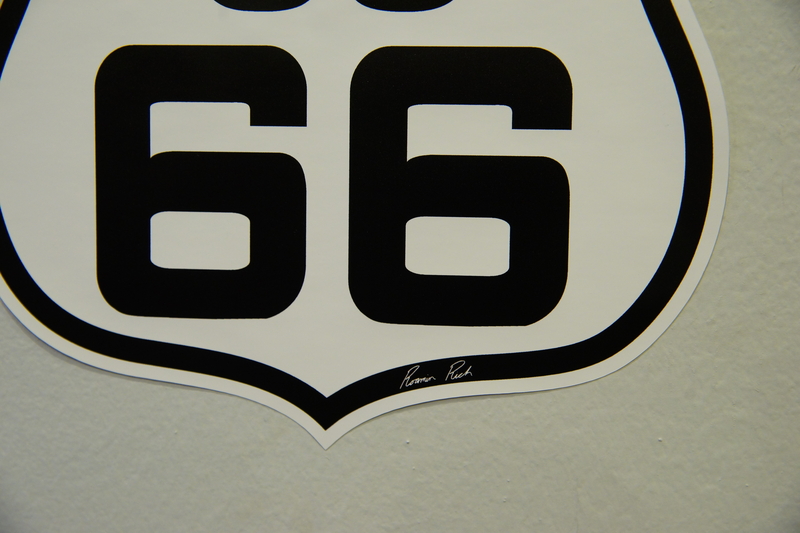 Once the decal has been applied long term, it will need other means of removal.